These are Marketmore and Straight 8's. There was a mite infestation and so I doused them with some insectisidal soap. They were in a sun window and I think they got a little too much sun and maybe that is what caused them to have the spots. I think, really the best way to grow cukes is to plant seed right where it will grow. 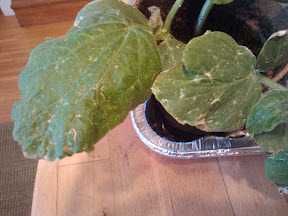 Plant when all danger of frost is past. 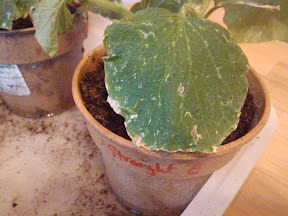 That way you don't have any hardening off shock or damaged roots from transplanting. 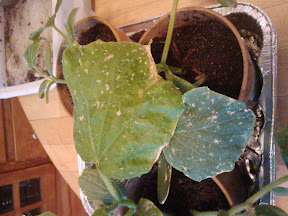 Cukes really don't like to be cooped up in a pot. They have a fantastic root system and need room for it to expand. Check This Out! You are the king of resources!! I will try to get these planted out this weekend then. If you have any seed, plant a few seeds when you plant these out and see if they do well. It is a great experiment. That was really interesting! I think I am going to start inside and out and see what happens. This is such a great place to learn and share.